When I talk to a certain generation, usually the 40 -60 crowds I am always, interested in asking them when movie scared them as a child. Horror has changed a lot over the years and it’s pretty clear when you look back on certain films. We’ve all had these moments. The first time I ever saw the Exorcist I remember thinking “I don’t really see what the big deal was” As I got older I started to learn how to put things in perspective. I started to understand the generations in which these movies came out in and most importantly what came before. The movie that comes up more often than not for this particular crowd is Black Christmas. I’ve actually mentioned this film a few times on my site before and the reason for that is the historical significance of it. 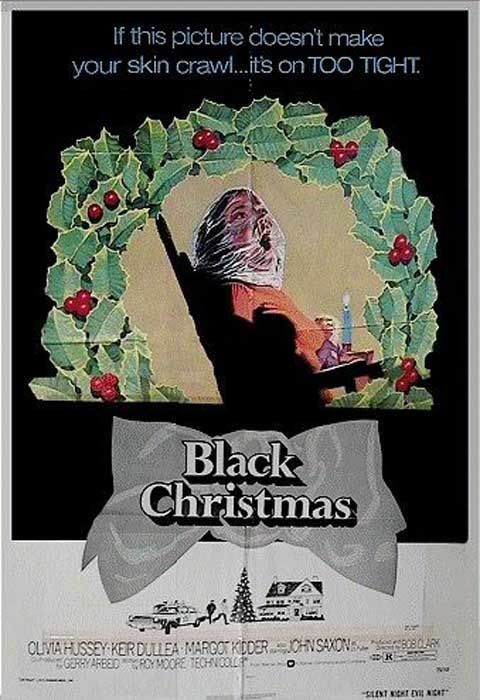 As funny as that sounds Black Christmas is an important movie. And best of all? It’s Canadian. The film was released in 1974 and was directed by Bob Clark. A common bit of trivia is that Clark also directed the classic Christmas movie “A Christmas Story”. The Film stars Olivia Hussey and a very foul mouthed Margot Kidder. It also has John Saxon who seemed to make a good career out of being “the cop” in horror. The basic premise is this. A stranger stalks and kills sorority girls on Christmas Eve. That’s it. It’s so simple but these words can’t really emphasis how unnerving this movie can be if you let yourself get really in to it. For one, you never know who the killer is. Most of the shots of him are POV or you just get a glimpse of an arm or an eye. In the end he gets away leaving everyone baffled to who it could be. Now for why this film is important. It’s widely considered to be the very first slasher movie ever made. (Beating out Texas Chainsaw Massacre by a mere 10 days) It takes a whole bunch of horror elements and mixes them together and that formula would be what every single slasher movie would copy from that point on. Or more accurately, what John Carpenter copied and created from Halloween and everyone copied from him. There was a Q&A on the Black Christmas DVD where Clark talks about a conversation he had with Carpenter who expressed being a great fan of the film, and wondered if Clark was going to do a sequel. Clark said if he ever would it would take place the following year and that it would be on Halloween. Clark was of course quick to emphasis that Carpenter didn’t rip off his movie and that Halloween is totally his own creation. Which is nice of him to say but looking at the both films it’s pretty obvious that it isn’t. Familiar themes that would be used, like POV shots, body counts, foul language and teenagers doing what they aren’t supposed to be doing are all mixed together. The most interesting thing to me is that it never got a sequel. It stands alone as a single story about a psycho killer that is never caught or discovered. That is easily the scariest element of the entire movie. Every slasher to come after would make their killer the star and you’d see them as often as possible. The mystery as to who the killer is is usually solved by a mask. Even when they have a mask, by the end of the movie, we know who it was. 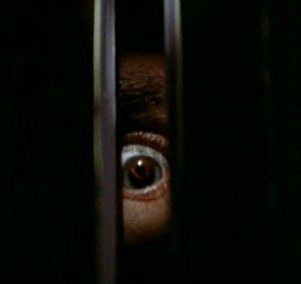 Although it is a unique aspect that really sets Black Christmas apart it also hurts the movie because they don’t make up for the loss of an iconic killer with interesting victims. They are all just your typical bunch of sorority girls. Totally disposable. I recommend anyone who’s interested, check this out. Not only is it one of the best holiday themed horror films it’s also an important film in the history of horror in general. Have a great Christmas and as always thanks for reading! This entry was posted on December 22, 2011 at 9:13 pm and is filed under Horror Showcase, Ode to the Unsung Slasher with tags Black Christmas, genre, genre films, horror, horror movie, horror movies, movie review, scary, Slasher, splatterpictures. You can follow any responses to this entry through the RSS 2.0 feed. You can leave a response, or trackback from your own site.